Election 08; Was John McCain born in America? Can John McCain Legally Become U.S. President? Even as the far right reject John McCain after the Obama apology, and as the right wing plays Muslim card against Obama, John McCain may have other concerns - His own legal ability to be sworn in as president. Here is a interesting story about John McCain and whether he can legally become president of the United States. AAPP: If this was Barack Obama's situation, would this issue be on the front page of every newspaper and on every political talk show in America? oops... Here are a few, including of all papers the NY times. The NY times just posted the article as I was writing this post. I guess it will get more discussion now. But the question will remain, Is McCain going to get a free ride because he is a white male? Take a look at the pictures of other white males who got a free ride. From left, LOWELL P. WEICKER JR., of Connecticut, born in Paris, was told he was eligible for the Oval Office. GEORGE ROMNEY, born in Mexico, ran for the presidency in 1968. BARRY GOLDWATER was born in the Arizona territory in 1909, before it became a state. CHESTER A. ARTHUR was born in Vermont, but rumors suggested it was Canada. McCain's likely nomination as the Republican candidate for president and the happenstance of his birth in the Panama Canal Zone in 1936 are reviving a musty debate that has surfaced periodically since the founders first set quill to parchment and declared that only a "natural-born citizen" can hold the nation's highest office. "There are powerful arguments that Senator McCain or anyone else in this position is constitutionally qualified, but there is certainly no precedent," said Sarah Duggin, an associate professor of law at Catholic University who has studied the issue extensively. "It is not a slam-dunk situation." Embarrassed Diebold officials apologized after one of their electronic voting machines prematurely revealed the winner of our upcoming sham election. Remember its satire. It's interesting how McCain surrogate and bigot, Cunningham can rant against Obama without Tim Russert or Hillary saying anything to Mccain to denounce him or reject him, while at the same time, Russert plays the 'Farrakhan Card" against Obama. Oh no, Hillary did not jump in there, asking Barack to denounce and reject Farrakhan for things even Farrakhan has agreed looking backwards were wrong. Hillary should denounce her husband for his color aroused campaigning. She (Hillary) should also denounce and reject Andrew Young, Bob Johnson and other black and white bigots involved in her own campaign. Why is it that blacks are always asked to distance themselves from other black folks? Do we asks whites to distance themselves from other whites? Would they even if we did ask? Can't we all just get along? I'm glad International Civil and Human Rights Blogger and Activist, Francis L. Holland has created a blog telling the "The Truth About John McCain!" AAPP: Even Civil Rights Icon's have to be held accountable.Eddie Griffin and others within the afrospear have been following John Lewis and other super delegate supporters of Hillary Clinton. Word on the street, "black folks are angry at black congressional leaders, and are ready to vote some of them out of office." As an example, many people in Atlanta have been watching John Lewis too. Jim Galloway, The Atlanta Journal-Constitution reports that for the first time in nearly a decade, U.S. Rep. John Lewis of Atlanta will have opposition to his re-election to Congress. Markel Hutchins, an Atlanta minister who took up the cause of a 92-year-old woman killed in a botched police raid, announced this week that he will challenge the 11-term congressman and civil rights icon in the Democratic primary. AAPP: It's about time black folks starting holding black elected officials accountable. Al Wynn - Congressional Black Caucus Member was held Accountable on Super Tuesday. Other Super Delegates were placed on notice: If your voting constituency in your district overwhelmingly voted for Barrack Obama, you owe it to your voting constituency to vote for Barack Obama at the National Convention. We know who you endorsed. Have no doubt we are watching you! "Meet me in Ohio" Hillary will probably yell, scream and call Obama ever color aroused name in the Clinton book of political hatred. This Face off promises to be on issues related NAFTA, health care, and HOPE, all of which Billary has screamed at Obama about over the past weekend. So get out the natural popcorn, beer, wine, snacks, and "rubber" brick. So you can throw the rubber brick at the flat screen when Hillary attacks Obama with her last ditch effort to win the presidency. It's Saturday Night Live on Tuesday. Let's sit back and relax as Hillary makes a fool out of herself. Join Us as we blog LIVE. Tonight, Starting at 7:30 PM EST. African American Political Pundit had the opportunity to have an exclusive interview with Social and Political Blogger MsLadyDeborah from the blog From My Brown Eyed View this week. MsLadyDeborah had the opportunity to meet with 5 other residents of Ohio in a Health Care Roundtable held at OSU with Senator Barack Obama to review and discuss his Health Care proposal. Listen in as MsLadyDeborah provides her take on Senator Obama from a black woman and consumers perspective. 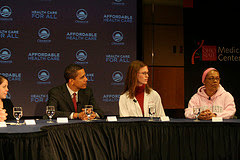 This is a photo of the Health Care Roundtable that was held at OSU on Saturday February 23, 2008. With Time on Obama’s Side, I guess the New York Times headlines are right when they wrote, Struggling Clinton is throwing 'kitchen sink' at Obama. Yet, even with her throwing the Kichen Sink at Obama, Hillary can't win. America has spoken. We do not want the Clinton's back in the white house. it is time for change, and it is time for Billary to make a graceful exit. The NY Times notes, "After struggling for months to dent Sen. Barack Obama's candidacy, the campaign of Sen. Hillary Clinton is unleashing what one Clinton aide called a "kitchen sink" fusillade against Obama, pursuing five lines of attack since Saturday in hopes of stopping his political momentum. The effort reflects not only Clinton's recognition that the next round of primaries - in Ohio and Texas on March 4 - are must-win contests for her. It also highlights her advisers' belief that they can persuade undecided voters to embrace her candidacy at the last minute by drawing sharply worded, attention-grabbing contrasts with Obama. After denouncing Obama over the weekend for an anti-Clinton flier about the NAFTA trade treaty, and then portraying his message of hope Sunday as naive, Clinton delivered a blistering speech Monday that compared Obama's lack of foreign policy experience to that of the candidate George W. Bush. "We've seen the tragic result of having a president who had neither the experience nor the wisdom to manage our foreign policy and safeguard our national security," Clinton said at George Washington University. "We can't let that happen again." AAPP: there is now a chorus line of writers that are asking Hillary to stop campaigning. take for example Richard Cohen of the Washington Post who writes in his recent article, Hillary's Diminishing Returns. What do you think? Should she quit? Just Wondering about Tavis Smiley, aka, Prince of the "State of the Black Union"
Obama as an Arab? Hillary as an Arab? So what is your point Hillary? AAPP: The Clintons seem to be having a great old time denigrating the Obama Photo in African Attire. One would think from Ms. Hillary "NAFTA" Clinton that the Arab community is in love with Obama. Well according to some Arabs, they are not feeling Obama. For example, Firas Ahmad who is an essayist based in Cambridge, MA. noted recently in a piece originally appeared in islamicamagazine.com. "As Obamamania continues to capture the imagination of the United States, parts of the American Muslim community are no less overcome by the Illinois Senator's charismatic and overpowering vision for change. It makes sense. He is a man of diverse ethnic background who seeks dialogue over war, who can credibly represent change given his independence from establishment politics and whose life story suggests an intimate understanding of the Muslim world. In many ways he represents more than Muslims could have hoped for given the radioactive nature of Islam in America over the past several years. Someone who seemingly has a sympathetic ear and background that could build bridges. No doubt if Obama wins the nomination, the Republicans will exploit this issue far more than Bill Clinton attempted to manipulate race in South Carolina. McCain will never have to say a word, the "hit job" will be manufactured and executed by his friends on Fox News, via the airwaves with Rush and Hannity (who would have overcome their issues with McCain by then) and through tabloids like the New York Post. Vocal Muslim support for Obama, if it happens, will likely be used as subtext for character attacks against his background and to fuel baseless rumors that he is actually a stealth Islamist who will subvert the establishment after taking power. As Don Imus can attest, racism and bigotry against African Americans is now largely unacceptable in public discourse. However, the same cannot be said of vitriol against Muslims. Attacking Obama for his pseudo-association with Islam is a far safer and more acceptable strategy for right-wing zealots than attacking him for being black. So if Obama has a campaign strategist worth his or her weight, we will never hear any serious public support or defense of Muslims from him or his campaign. For Muslims to demand anything from him simply demonstrates a misunderstanding of reality. Muslim support for Obama is akin to George Bush's support for democracy in the Middle East. The mere association with the former will undercut the credibility of the latter. It is an analogy that Muslims should understand. More Color Aroused campaigning coming from the Clinton Campaign. this time as reported by The Washington Post, Barack Obama's campaign this morning sharply criticized Hillary Clinton's campaign for reportedly sending a picture to the Drudge Report of the Illinois senator that showed him in African dress, with Obama campaign manager David Plouffe accusing Clinton of engaging in "shameful, offensive fear-mongering." The picture, taken of Obama while he was in Kenya in 2006 on a Senate trip to Africa, shows him in Somali garb, and Obama aides suggested the Clinton campaign circulated it to call attention to Obama's African ancestry and give credence to persistent and false allegations circulating online that he is a Muslim. Obama is a Christian who attends a United Church of Christ congregation in Chicago. "I could just stand up here and say 'Let's just get everybody together, let's get unified.' The sky will open, the light will come down, celestial choirs will be singing and everyone will know we should do the right thing and the world will be perfect." AAPP: I Guess Hillary NAFTA Clinton, is not feeling the need for America to be hopeful? "She would rather have American's to be in a doom and gloom mood like her." Now she even says Barack is acting like Carl Rove? Billary needs to win big in Ohio and Texas to salvage her campaign to be the Democratic nominee in the November. Billary should have known that she has no birth right to the presidency. Now like a bandit in the night, she is now using a new populist approach taken from John Edwards. (which by the way, did not work). She nor John Mccain deserve the Presidency of the united states. Hillary is no longer a viable candidate. End of story. I want to invite you to listen and call in to my talk show. 1. Tavis Smiley's beat down of Barack Obama. did it backfire? Did Hillary's visit to to Tavis Smiley event this weekend do her any harm? Or any good? 2. 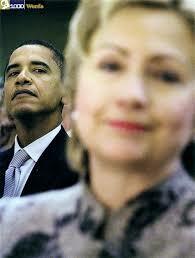 The recent calling out of Barack Obama by Hillary Clinton. Was it a last ditch effort of Hillary to save her campaign. 3. Should blacks stop "calling out" other blacks who would do the black community harm? 4. Will Ralph Nader's joining the presidential race make a difference? 5. Whats on your mind? What truly pisses you off today regarding politics? It's a late night black political slugfest for grown folks, Bloggers and Internet political junkies. 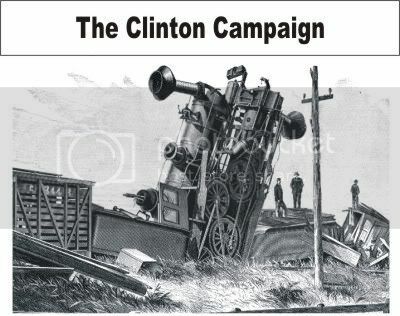 Francis L. Holland on, "The Wheels Coming off the Clinton Train"
``There are reasons that are perhaps not always noble that determine why labor leaders do what they do," says Clinton supporter Ohio Governor Ted Strickland, after Obama won the backing of the 1.9 million member Service Employees International Union and the 1.4 million member International Brotherhood of Teamsters. In an attack of Barack Obama 74 year old consumer advocate Nader starts another bid for President in what may be another splitting of the Democratic Vote American vote. As reported in The Washington Post, Nader also ran for president in 2000 when he got about 2.7 percent of the national vote as the Green Party candidate and played a role in deciding the final presidential outcome. He also ran as an independent in 2004 and got only a tiny fraction of the vote. Many Democrats blame Nader's participation in the close race between Democrat Al Gore and Republican George Bush in 2000 for tipping the election in favor of Bush. They believe that but for Nader's name on the ballot in Florida, Gore would have been the clear winner and president today instead of Bush. 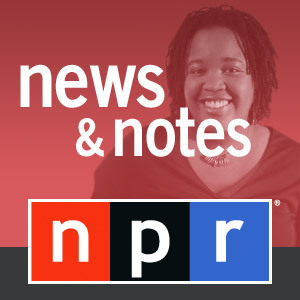 AAPP: Should Ralph Nader stay out of the race? Well, Obama is not concerned by Ralph Nader's run.